This year, every celebration seemed to have crept up on me quickly. Starting with Willows first birthday, now Xmas and Hannukah are only five days away. Yikes! That’s FIVE. This year, each couple got assigned a niece/nephew to buy for. There are 4 kids and 2 babies so the two babies got combined for one couple. $100 limit and working with a wish list they have. It definitely made it a lot easier to shop for. As for our own kids, we decided on a few small gifts, one for each night of Hanukkah. 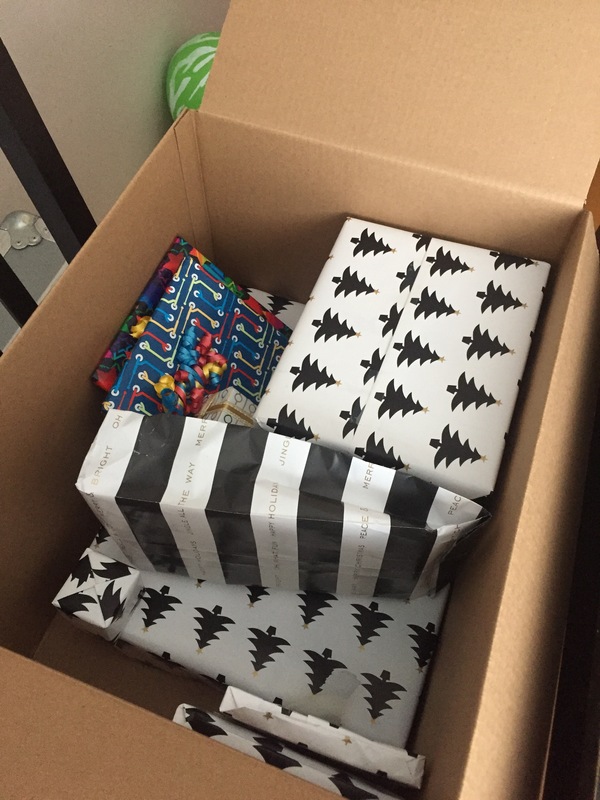 We wanted to move away from toys so it’s mostly books or clothes this time, with one toy for each from us. I think I spent about $100 or less on each. We also bought them a share toy so they can learn to share more. So now comes the task of wrapping the items. I love wrapping gifts. It’s like origami. But this time the task seems so daunting because not only are there a lot of items but there are a number of irregularly shaped items. Those are not fun to wrap. I will have to consult Pinterest on some ideas. I found one! Here’s the link for it. Wrapping irregular presents.Now I excited. I guess I was stuck on wrapping boxes – lack of sleep. It’s hard to get things done with a baby. Let alone a toddler who is mobile and gets into everything. Gift wrapping is a task on its own but combine that with a toddler, it’s almost difficult. I managed to get less than half done and have got to put them away before kiddies come home or there will be no supremes later.